T.I. 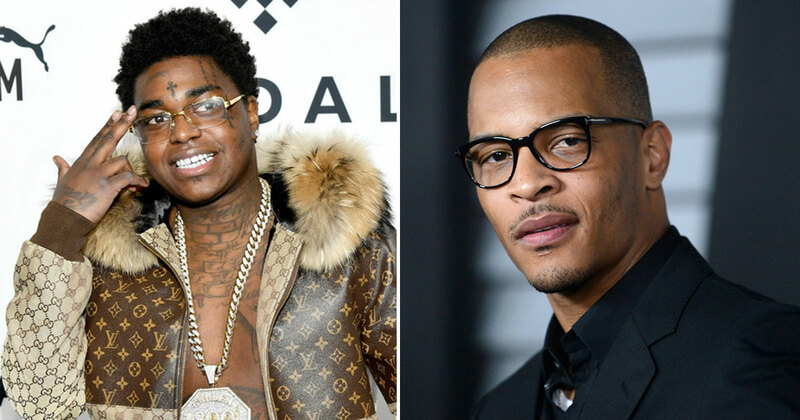 headed to the booth to address his beef with Kodak Black… and per usual, Kodak may have just taken things a little too far. T.I. and Kodak Black have been going back-and-forth on social media over the past week. It all started when Kodak Black decided to hop on Instagram Live and make comments on how he was going to give Lauren London a year to grieve before shooting his shot. He ended up (kinda) apologizing for his comments but T.I. was still livid that Kodak would make light out of Nipsey Hussle’s death. A few days ago, T.I.’s took things to to the booth to address his feud with the Florida rapper. TIP took to Instagram Live to preview a new song he’s been working on. On the track, the rapper seemingly addresses his feud with Kodak Black. “I’m conditioned to see the vision, you/ I don’t care if you eight or under twenty-two/ All that back and forth, what you trying to get into?/ I said what I said and I meant it to,” he raps on the track. Peep the receipts below. What do you guys think? Has this all gone a bit too far now?